Injury or infection to a finger or fingers is a common problem. Infection can range from mild to potentially serious. Often, these infections start out small and are relatively easy to treat. Failure to properly treat these infections can result in permanent disability or loss of the finger. Early recognition and proper treatment of the following main finger infections will help prevent most of the serious outcomes. Paronychia: A paronychia is an infection of the finger that involves the tissue at the edges of the fingernail. This nail infection is usually superficial and localized to the soft tissue and skin around the fingernail. This is the most common bacterial infection seen in the hand. Felon: A felon is an infection of the fingertip. This infection is located in the fingertip pad and soft tissue associated with it. Herpetic whitlow: A herpetic whitlow is an infection of the fingertip area caused by a virus. This is the most common viral infection of the hand. This infection is often misdiagnosed as a paronychia or felon. Cellulitis: This is a superficial infection of the skin and underlying tissue. It is usually on the surface and does not involve deeper structures of the hand or finger. Infectious flexor tenosynovitis (pyogenic flexor tenosynovitis): This infection involves the tendon sheaths responsible for flexing or closing the hand. This is also a type of deep space infection and more frequently occurs in individuals with underlying suppressed immune systems. Deep space infection: This is an infection of one or several deep structures of the hand or fingers, including the tendons, blood vessels, and muscles. Infection may involve one or more of these structures. A collar button abscess is such an infection when it is located in the web space of the fingers. Infection of the area of the lateral nail fold (paronychium) is typically due to superficial trauma (eg, hangnails, nail-biting, manicuring, finger sucking). Artificial nails have also been associated with acute paronychia. Although paronychia typically starts as cellulitis, its progression to abscess formation is not uncommon. Infection that spreads to the proximal nail edge is termed eponychia. Occasionally, the infection can spread under the nail plate itself, resulting in a subungual abscess. The distal palmar phalanx is compartmentalized by tangentially oriented fibrous septa. These septa result in a closed compartment at the distal phalanx, which helps prevent the proximal spread of infection. Infection is typically due to direct inoculation of bacteria by penetrating trauma but may be caused by the hematogenous spread and by local spread from an untreated paronychia. Infection results in edema and increased pressure within the closed compartment. This, in turn, can impair venous outflow and lead to local compartment syndrome and myonecrosis. Invasion of the bone leads to osteomyelitis. Herpes simplex virus (HSV) infection of the distal finger typically results from direct inoculation of the virus into broken skin. Type 1 and type 2 HSV infections are clinically indistinguishable. As in herpes infections elsewhere in the body, it is believed that the virus can remain dormant in the neural ganglia, leading to recurrent infections. Tendon sheaths consist of a visceral layer adherent to the tendon and a parietal layer. Notably, the flexor tendon sheath of the thumb is continuous with the radial bursae, whereas the flexor tendon sheath of the fifth digit is continuous with the ulnar bursae. Infection within a flexor tendon sheath, as in other infections of the hand, usually is the result of direct inoculation of bacteria from penetrating trauma. The deep fascial spaces of the hand are potential spaces and consist of the dorsal subaponeurotic space, subfascial web space, midpalmar space, and thenar space. These compartments are susceptible to infection by direct penetrating trauma, spread from a neighboring compartment, or hematogenous seeding. Because of the dorsal location of the lymphatics, erythema and swelling commonly appear over the dorsum of the hand, even when the injury is of palmar origin. Paronychia: The offending bacteria are usually staphylococcal and streptococcal organisms. Rarely, a fungus causes this infection, which usually begins as a hangnail. Often a person will attempt to bite off the piece of nail that is at the corner. This results in an open wound that allows the bacteria found on the skin and the bacteria found in the mouth to infect the wound. Felon: This bacterial infection of the finger pad, caused by the same organisms that cause paronychia, is usually the result of a puncture wound. The wound allows the introduction of bacteria deep into the fingertip pad. Because the fingertip has multiple compartments, the infection is contained in this area. Cellulitis: The most common causes of this bacterial infection are staphylococcal and streptococcal organisms. This infection is usually the result of an open wound that allows the bacteria to infect the local skin and tissue. Infectious flexor tenosynovitis: This bacterial infection is usually the result of penetrating trauma that introduces bacteria into the deep structures and tendon sheaths, which allows the spread along the tendon and associated sheath. Deep space infection: This bacterial infection is usually the result of a puncture wound or deep cut that introduces the bacteria to the deep tissue. Felon: Typical symptoms of a felon include a swollen and painful fingertip. It may be possible to see a pool of pus forming under the skin. Cellulitis: Symptoms of cellulitis include red skin that is sensitive and warm to the touch. The area may also swell. The motion of the hands should not be affected. If it is, a deep space infection may be present. Paronychia: Symptoms of paronychia include redness and swelling next to the fingernail, which will be painful to touch. Pus may develop under the nail or skin, which may leak out of the wound. The drainage is usually a white-yellow color. Herpetic Whitlow: Whitlows will look like felons, and may additionally cause a burning or itching sensation in the immediate area. The swelling will likely be milder than in a felon. It is caused by the herpes simplex virus. A whitlow may cause one or more open wounds in the area that often occur in clusters. Deep space infection: Common symptoms and signs of deep space infections include pain when moving certain parts of the hand. The area may become red, very sensitive to touch, and spread along the tendon sheath. The center of the infection may have a soft spot, where a collection of pus is forming. Osteomyelitis involving the diaphysis of the distal phalanx is a common complication. The most serious complication of the felon is acute tenosynovitis, which may result from the contiguous spread of infection. This can be iatrogenic from inadvertent nicking of the flexor tendon sheath during drainage. Other complications include skin necrosis, deformity of the fingertip, septic arthritis, and instability of the finger pad. 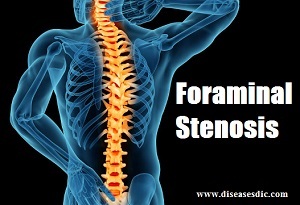 The correct diagnosis will start with a detailed history and physical exam. People who have a localized infection will be treated differently than someone with a severe infection. Coexisting problems such as diabetes or blood vessel disorders of the arms and legs will complicate the infection and may change the degree of treatment. Infections caused by bacteria will usually be treated with antibiotics and medical care. Doctors may simply cut and drain a wound. Sometimes they may need to perform surgery to be sure all of the infection is cleared out. Treatment varies from person to person, and people should always discuss options with a doctor. Depending on the type of infection, topical, oral, or intravenous (IV) antibiotics may be required to battle the infection. Herpetic whitlow is not treated with antibiotics, although antiviral drugs may speed up the healing process. I and D (Incision and Drainage) may be required in some cases due to the infection being entrapped due to pressure within numerous compartments of a fingertip. This involves making an incision on the fingertip or inserting an instrument into the wound to break the compartments and allow the drainage of pus or infected fluid. This is followed by flushing with the copious amount of sterile fluid. A mild infection will clear up quickly with warm wet soaks every 8 to 12 hours and improved nutrition. Drinking plenty of liquids and taking added vitamins and minerals can be sufficient. Zinc stimulates T lymphocyte function, necessary to fight infections. B complex vitamins aid repair and replacement of tissues, and vitamin C with bioflavonoids are essential in immune function. Raw honey might destroy bacteria by drawing moisture; use it as a dressing. Echinacea can be taken by mouth every four hours for 10 days to fight infection. Drink distilled water with lemon juice and three cups of echinacea, goldenseal and astragalus tea daily. Choose from these options or combine topical applications: alcohol-free goldenseal extract can be applied directly to the infected finger and covered with gauze. Colloidal silver, a natural antibiotic solution, can be taken orally and applied topically. Tea tree oil diluted with four parts water and applied with a cotton ball three times a day will keep the infection from spreading and will destroy fungus and bacteria. Soak the affected finger in warm water with Epsom salts alternating with very cold water, moving back and forth at five-minute intervals for 15 minutes, up to four times a day. This will increase circulation so the body’s own bloodstream will attack and heal the infection faster. Herbs that cleanse the blood and support healing when taken internally are burdock root, dandelion, cayenne pepper, red clover, and yellow dock. Get plenty of rest. Elevate the finger higher than the heart to increase circulation and reduce pain and swelling. A poor diet prevents cellular waste from being eliminated and impairs healing. Fasting on fresh raw juices for one to three days might restore balance to body systems, allowing efficient healing. Fresh pineapple contains enzymes that fight inflammation. Garlic, onions or a supplement such as methylsulfonylmethane will correct the sulfur deficiency that lowers resistance to infection. See a health-care practitioner if pain, redness, or swelling increase. Heat, fever, or red streaks leading away from the finger are signs of serious infection. Diabetics should seek medical treatment because diabetes can wound healing. Wash the cut out immediately. Apply an antibiotic ointment and a bandage. Watch for signs of infection. This includes redness, swelling, and warmth. If you are going to work with wood or other materials that could cause splinters, wear protective gloves. People with diabetes who prick their fingers for home blood tests should first wash the fingertip with alcohol. Avoiding contact with others who have herpes may prevent herpetic infections, though there may be no way to know in advance who has the infection. Prompt diagnosis and treatment of a herpetic infection may prevent complications. 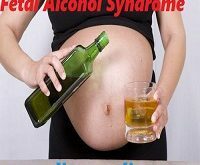 Fetal Alcohol Syndrome – Description, Causes, and Prevention. Please consult a doctor to diagnose the problem. I got my nails that cant grow long,everytime they break easily if I grow them n have cut on them.What is my problem. It might be due to nutrient deficiency. Please consult a doctor.